According to court documents filed on February 28th, 2012, New Jersey state court Judge Brian Martinotti, who is presiding over the NJ Mass Tort for NuvaRing cases (BER-L-3081-09) stated that it is anticipated by the Court that all nine of the selected "bellwether" cases will be ready to be tried on February 4th, 2013. Over in the federal court system, Judge Rodney Sippel has not yet established a firm date for the first trial in the NuvaRing MDL litigation (MDL 1964). NuvaRing is a contraceptive that comes in the form of a vaginal ring using female hormones in an effort to prevent ovulation. NuvaRing was approved by the FDA in October 2001 and it is marketed and sold by the Organon USA Inc. The complaints allege that the use of this drug carries a potential for blood clots due to the extremely high amounts of hormones released. This can lead to death, the breakdown of tissue and organs necessitating, in some cases, amputation, heart attacks and ischemic strokes. Now, AttorneyOne.com, a recognized authority on law, can provide helpful, proven advice and simple solutions including how to get in contact with legal counsel so anyone can easily and inexpensively deal with cases of NuvaRing severe adverse events [http://www.attorneyone.com/nuva-ring/ . The media spotlight is often a double-edged sword. No one knows this better than women who suffer from NuvaRing Side Effect. And yet, gossip and rumor-mongering aside, the real story here is being overlooked according to Sean Burke of AttorneyOne. According to court documents filed on February 28th, 2012, New Jersey state court Judge Brian Martinotti, who is presiding over the NJ Mass Tort for NuvaRing cases (BER-L-3081-09) stated that it is anticipated by the Court that all nine of the selected "bellwether", or test cases will be ready to be tried on February 4th, 2013. Over in the federal court system, Judge Rodney Sippel has not yet established a firm date for the first trial in the NuvaRing MDL litigation (MDL 1964). NuvaRing is a contraceptive that comes in the form of a vaginal ring using female hormones in an effort to prevent ovulation. The ring is flexible and works for a three week period as a contraceptive. NuvaRing was approved by the FDA in October 2001 and it is marketed, labeled and sold by the Organon USA Inc. Its parent company is Schering-Plough Corp. The Merck & Co., Inc. form 10-K annual report for the fiscal year 2011 states that as of December 31st, 2011, there were approximately 950 NuvaRing cases. Of these cases, approximately 820 are or will be pending in the NuvaRing MDL in the U.S. District Court for the Eastern District of Missouri before Judge Rodney Sippel, and approximately 125 are pending in coordinated discovery proceedings in the Bergen County Superior Court of New Jersey before Judge Brian R. Martinotti. Four additional cases are pending in various other state courts. The complaints filed (NJ Mass Tort) allege that the plaintiffs suffered damages attendant to the use of this contraceptive. According to the lawsuits the use of this drug carries a potential for blood clots due to the extremely high amounts of hormones released. This can lead to death, the breakdown of tissue and organs necessitating, in some cases, amputation, heart attacks and ischemic strokes. In October 2011, the FDA released a study noting that combined hormonal contraceptives, including the etonogestrel/ethinyl estradiol vaginal ring (NuvaRing), “potentially result in higher sustained exposure to estrogen and hence, increased thromboembolic risk.” The study found NuvaRing raised the risk of blood clots, including DVT and PE by 56% when compared to older birth control pills. AttorneyOne.com has further information on NuvaRing lawsuits including how to get in contact with legal counsel. Headquartered in San Diego, CA Attorney One was founded in 2004 and is not a law firm. 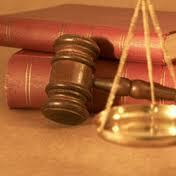 They offer a nationwide legal service which helps consumers find the best representation for their legal needs. Checkout earlier legal news from us at http://www.prweb.com/releases/2012/3/prweb9286055.htm.